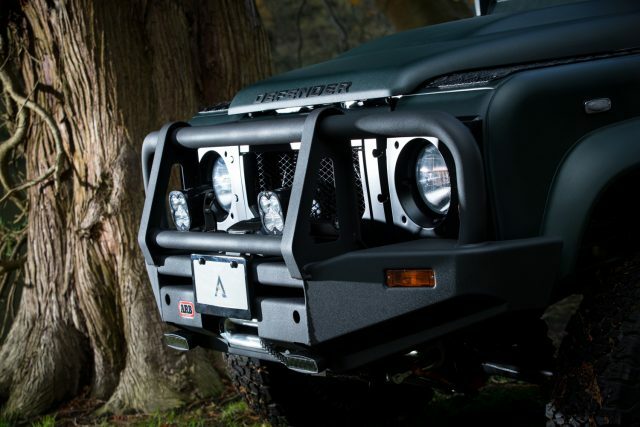 If you live in the United States, there are really only a few paths to follow for purchasing a Defender. You can take the affordable route and buy one in well-loved and sometimes leaky condition. 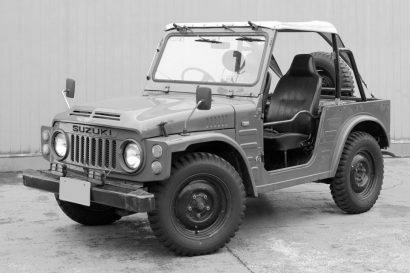 Alternatively, you could look at one of the many “restored to factory” choices, which are cleaned up, running well, and ready for adventure. 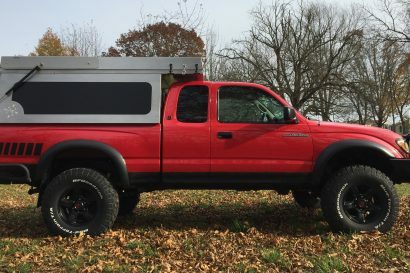 Either can be an excellent way to find your dream truck, but if you have the money, there is a third option. 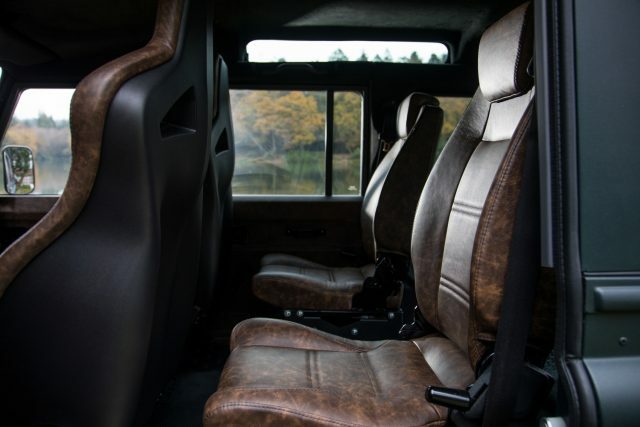 Made to order, like new Land Rover Defenders that have been completely overhauled with new motors, transmissions, paint, accessories, and interiors to make them as comfortable and reliable as they are capable. 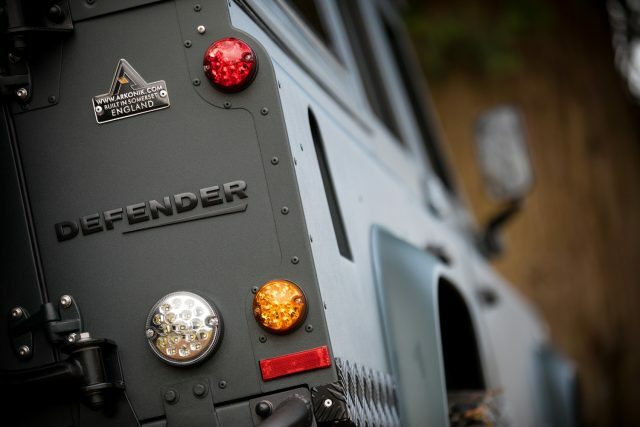 We admit, the prices can be very high, but many of these Defenders are just too cool to ignore. Take this Arkonik Ragnarök for example. It’s freshly built, fully equipped, and ready for import to North America. 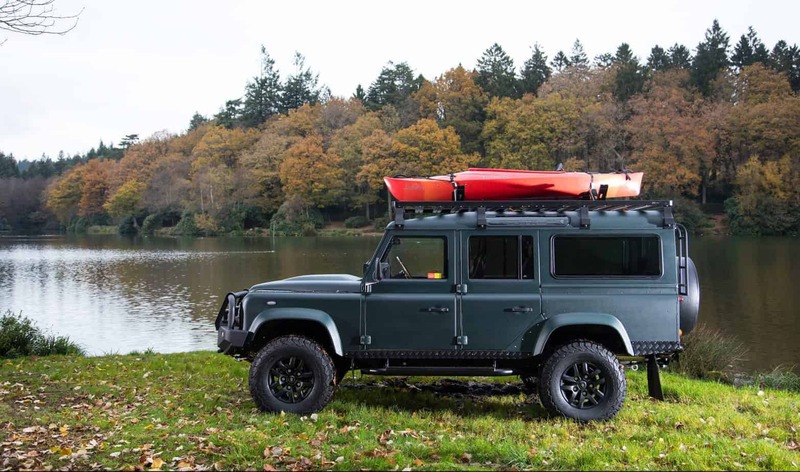 This special edition Land Rover was inspired by early Viking explorers and Norse mythology, and designed to undertake her own adventures all over the world. 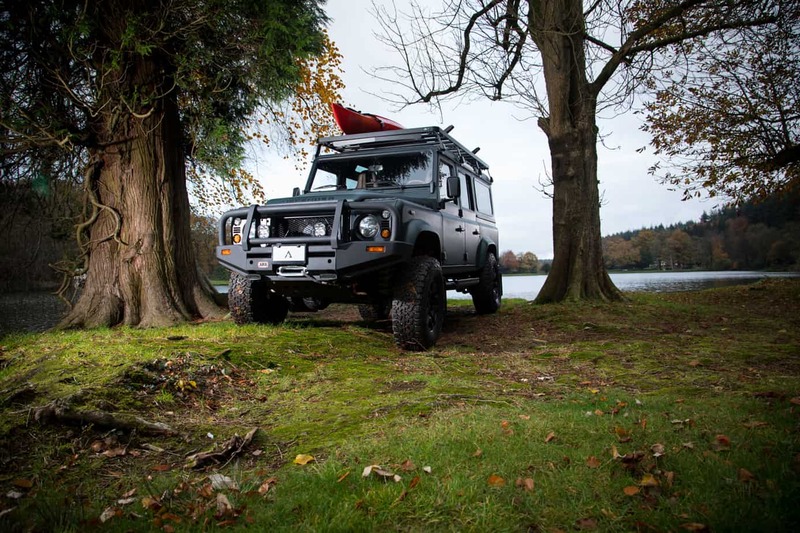 Like the rest of Arkonik’s vehicles, the Ragnarök is restored and upgraded in Somerset, England, by a large team of highly experienced mechanics, electricians, body and paint specialists, and interior trim designers. (You can actually read about their large staff here) The team’s combined efforts create a vehicle that in many ways is better than the original, so let’s take a look, starting with the exterior. The entire vehicle has been stripped and repainted in Raptor-coated Epsom Green paint with satin black accents. 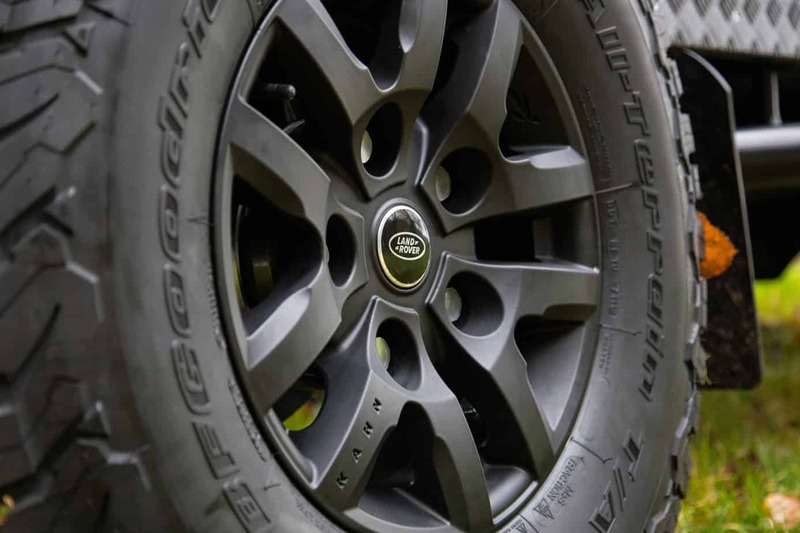 The wheel and tire package has been updated to Kahn 1948 16-inch alloys wrapped in 285 BFGoodrich All-terrain tires, which look great, provide a little more clearance, and will give the vehicle better traction off-road. Arkonik also removed the old hood, and swapped it for the new Puma variant along with Optimill® wing-top vents. 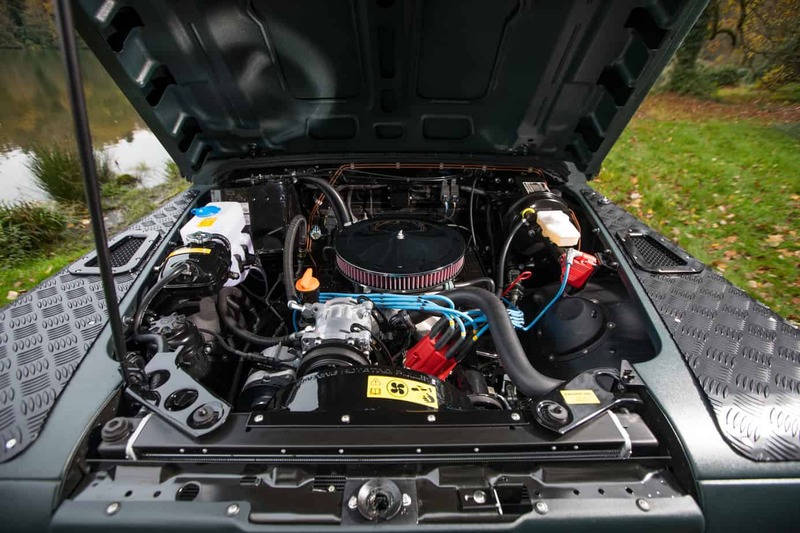 We’re more impressed with what the hood is covering though, a fully reconditioned 3.5L V8 block of the same vintage. 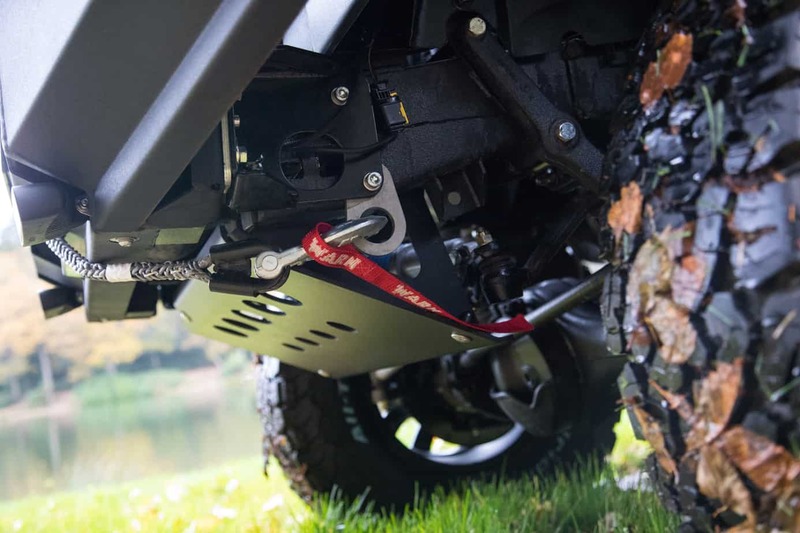 Since the Ragnarök is intended for off-road use, Arkonik was sure to install a few carefully selected accessories. They started with a 2-inch lift kit to give the 110 additional ground clearance and room for the larger tires, then added a Raptor-coated front differential guard and skid plate for when things go awry. 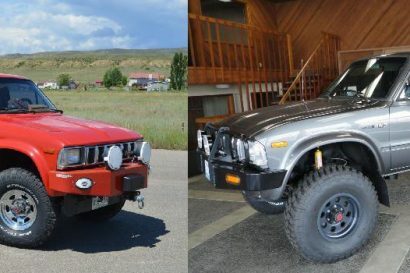 Caster adjusted radius arms, heavy-duty steering arms, and an RTC steering damper were also used to compensate for the altered angles and larger tires. Of course, if you’re going to be driving into remote parts of the world, it’s a good idea to have some impact protection for your radiator and motor. 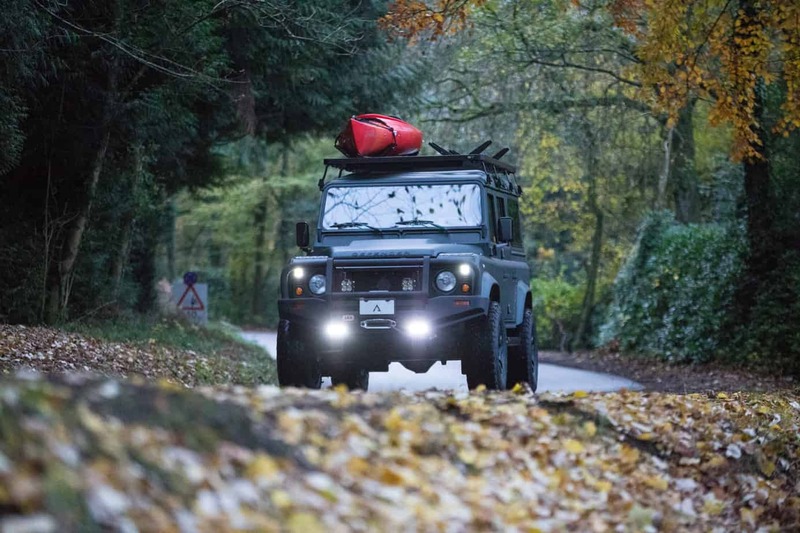 Arkonik chose an ARB bull-bar for this task, and equipped it with a WARN 12-s winch for recovery, and Baja Designs spotlights for improved visibility. 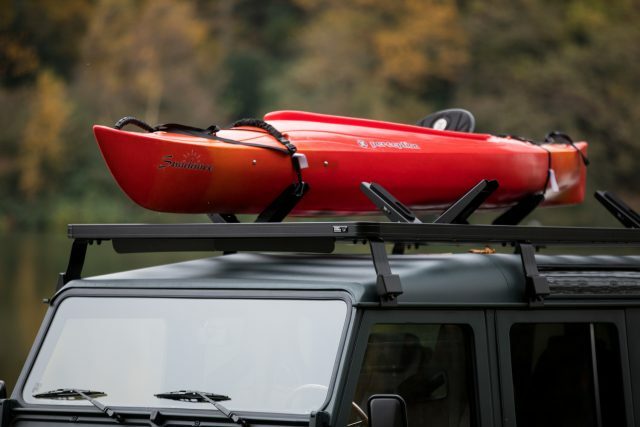 Finally, a Front Runner roof rack was chosen to support all of your adventure activities, from kayaking, to biking. 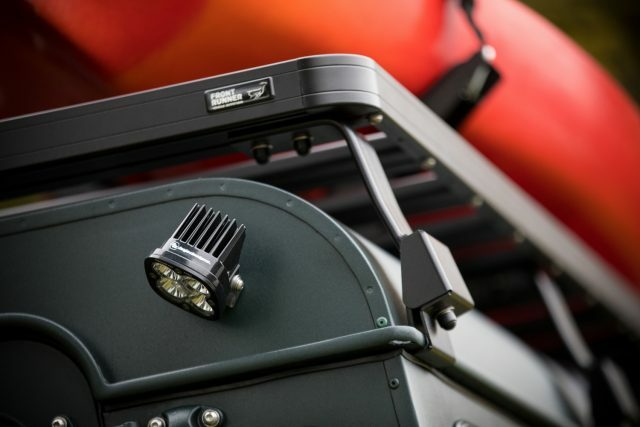 This particular truck is equipped with the ladder and kayak mount options. So here’s the problem, Defenders aren’t known for being comfortable. In fact, I’d venture to say they’re known for being uncomfortable, which is sort of a buzzkill if you’re dropping this much money into purchasing one. 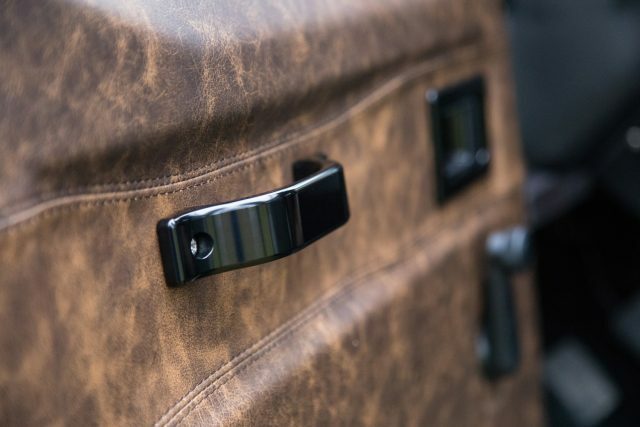 That’s why Arkonik updated the interior with vintage thatch leather trim and Elite Sport heated front seats. 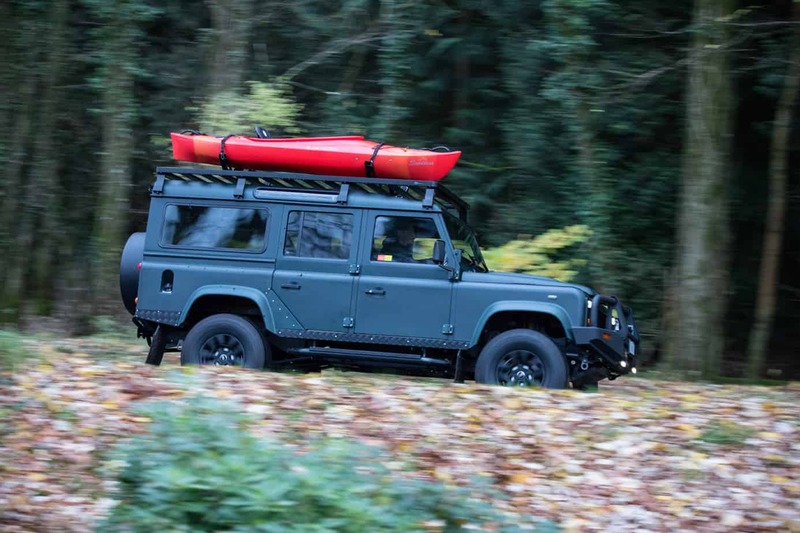 This comfortable and supportive combination make long drives a breeze, and seriously improves the overall feel of the Defender. 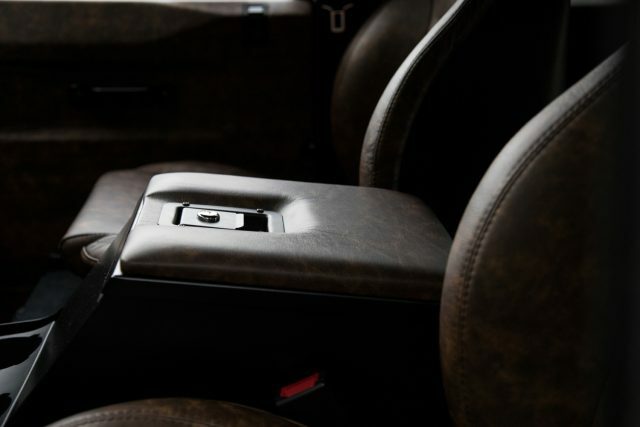 Since the seats no longer matched the other interior components, the door cards, locking center console, and even the shifter surround were changed to match the new leather. 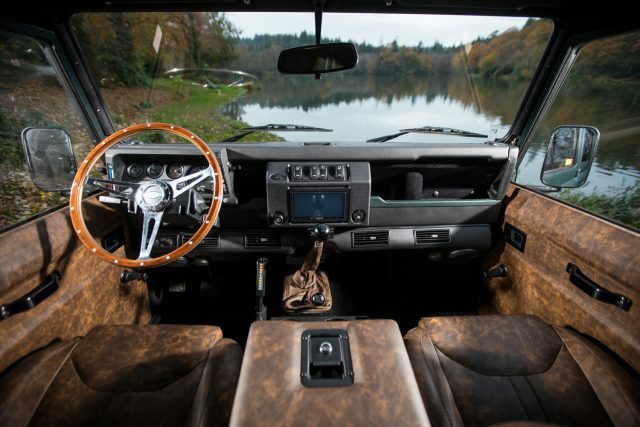 Unfortunately, a wooden steering wheel was also installed, but it looks a little out of place with this Defender’s modern theme. As the final touches, the gear knobs, door handles, and many other components were swapped with black aluminum replacements, and an Alpine sound system with Apple Car Play was installed for playing your favorite tunes on the road. 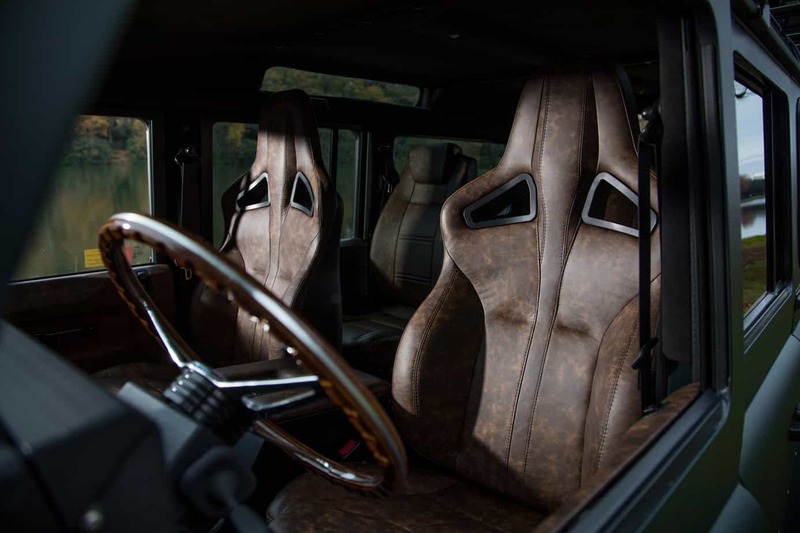 While this particular vehicle has already been sold, the Ragnarök package is available for $170,000. It’s certainly not cheap, but few dream cars ever are. Until we win the lottery or strike it rich, we’ll just have to settle for staring at the photos. 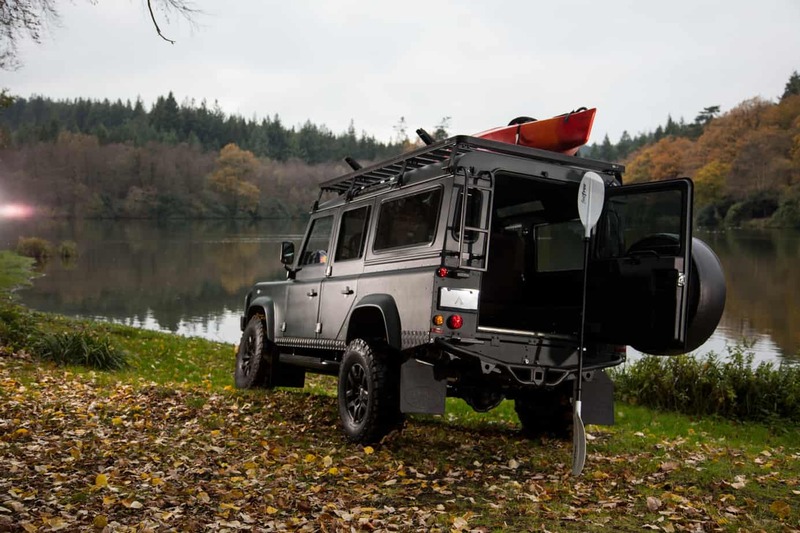 To learn more about the Ragnarök 110, Arkonik Defenders, or the myriad of other vehicles they’ve built, check out their website here.